Late on Thursday, Google reported first quarter results that beat consensus view. Net income totaled $1.42 billion, or $4.49 per share, up 9% from $1.31 billion, or $4.12 per share, in the year ago period. 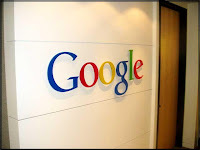 However, for the first time in its history Google posted a sequential drop in sales.Sales for the quarter, minus traffic acquisition costs, were $4.07 billion, down from the $4.22 billion in the fourth quarter.However revenue was up 6% from first quarter of 2008. On an adjusted basis, the company earned $5.16 a share. Analysts on an average expected Google to post earnings excluding special items of $4.93 a share on $4.08 billion in net revenue. The online search giant slashed workforce and did away with few business units in order to curtail expenses to overcome the slowest revenue growth since company went public in 2004. The company acknowledges that it is indeed feeling the economic heat. "No company is recession-proof," Google Chief Executive Eric Schmidt said. "Google is absolutely feeling the impact. "He added “We’re still basically in uncharted territoryThe current economic environment, which everybody is all very, very familiar with, remains tough.” Scmidt concluded "Despite the tough economic climate, we think Google had a good quarter." Advertisers scaling back on marketing budgets during what is being seen as the worst economic downturn since Great Depression. Since Google derives most of its revenue from paid clicks, it is having hard time to maintian its revenue growth. "While we remain focused on operational efficiencies, we're not cutting any corners on our growth agenda and continue to fully fund both our core business and our growth businesses," Schmidt said on a call with analysts after the company reported first-quarter results.